Please click HERE to visit their Frequently Asked Questions page. Please click HERE to view the key dates in the process. 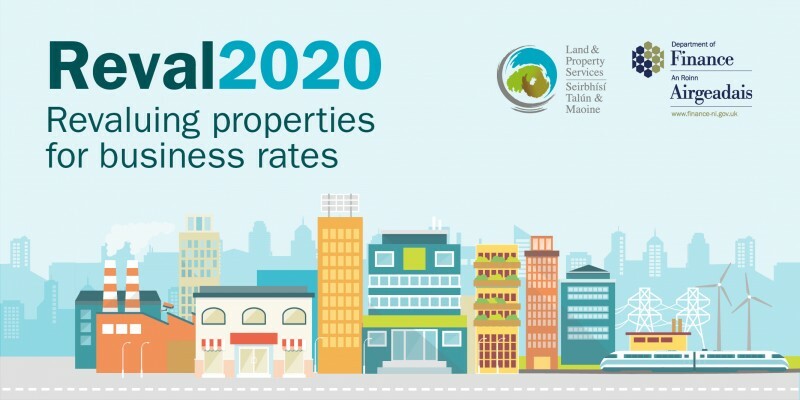 A rates revaluation is the full reassessment of the individual Net Annual Values (NAVs) of all 75,000 business properties in Northern Ireland. Business rate bills are calculated by multiplying the NAV by the non-domestic regional rate in the pound and the non-domestic district rate in the pound for the council area in which the property is located. New values will be used to calculate future individual rate bills for businesses and organisations. LPS is urging business ratepayers to provide their rental information now in 2018. The data collected will be analysed and used to produce new rateable values. These values will then be used to calculate rate bills from April 2020. LPS will write to ratepayers and ask them to complete a Rent and Lease Questionnaire (RALQ). 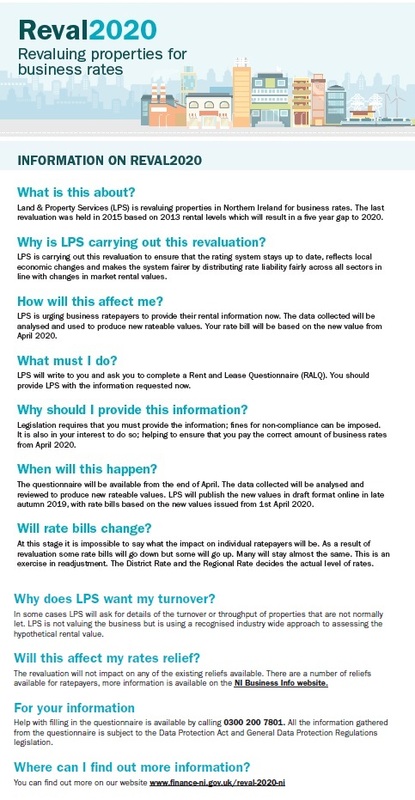 Ratepayers should provide LPS with the information requested now.